Schluter®-DITRA-HEAT-E-HK-SK is a splice kit for DITRA-HEAT-E-HK heating cables. The kit contains all the material to replace one factory splice of the heating cable. Do not use the splice kit to splice different heating cables together. The kit is only intended for making repairs to a single DITRA-HEAT-E-HK heating cable. Repairs must only be made by a qualified electrician and in accordance with the Schluter®-DITRA-HEAT Repair Procedure, the National Electric Code (USA) or Canadian Electric Code Part I (CAN) and all applicable local electrical and building codes. Failure to follow these Repair Procedure instructions and applicable codes may result in personal injury or property damage or failure of the repair or splice. Never cut the heating cable. 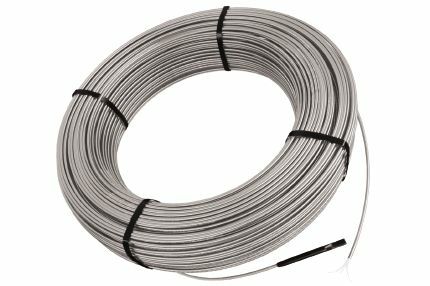 The heating cable cannot be shortened or altered to fit. This could change the cable resistance and could lead to a fire. 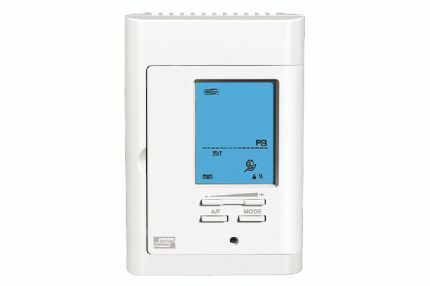 Any deviation from the Schluter®-DITRA-HEAT Installation Handbook during initial installation (including but not limited to damage to the Schluter®-DITRA-HEAT-E-HK heating cables) has voided the Schluter®-DITRA-HEAT Limited System Warranty and other applicable warranty coverage. WARRANTY COVERAGE IS NOT REINSTATED UPON REPAIR OF THE HEATING CABLE. 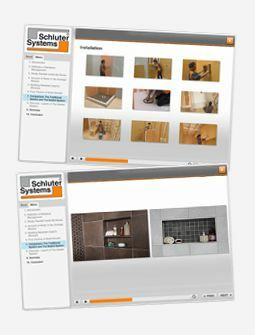 Schluter Systems is not responsible or liable under any circumstances for determining the suitability of a Splice Kit for the Owner’s intended purpose. 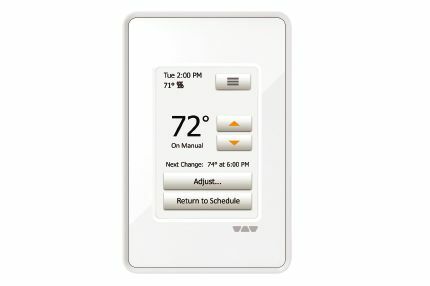 TO THE EXTENT PERMITTED BY LAW, SCHLUTER SYSTEMS DISCLAIMS ANY AND ALL WARRANTIES, REPRESENTATIONS OR CONDITIONS, EXPRESSED OR IMPLIED, INCLUDING BUT NOT LIMITED TO THE IMPLIED WARRANTIES OF MERCHANTABILITY AND FITNESS FOR A PARTICULAR PURPOSE, AND ANY AND ALL LIABILITY ARISING FROM REPAIR SERVICES PROVIDED BY AN ELECTRICIAN. The purpose of the Schluter®-DITRA-HEAT-E-HK-SK Splice Kit is to repair damaged Schluter®-DITRA-HEAT-E-HK heating cables to operable condition. 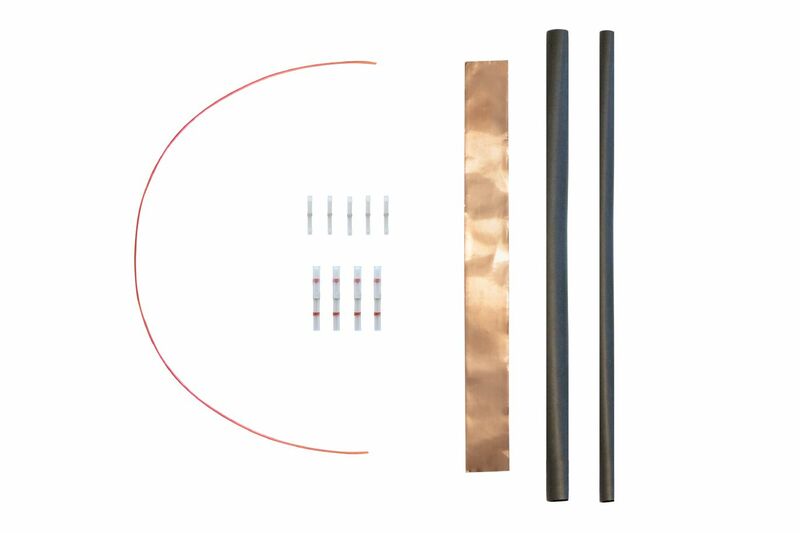 For installation instructions, please refer to the Schluter®-DITRA-HEAT Repair Procedure for the DITRA-HEAT-E-HK Heating Cable, which is included in the kit (320012).